Crook was slow to assemble his 1427-man brigade and depart for the Sioux village. 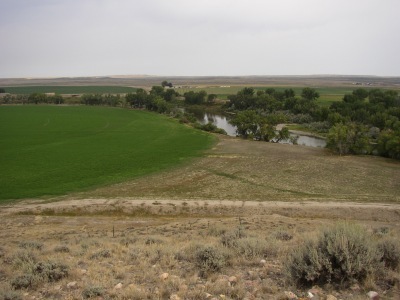 As the soldiers trundled north, he would experience but ignore the clever Sioux tactics and the lessons from two ambushes (shown in the photos below to the right). He would pay dearly for this disregard and his brigade and carreer would suffer. 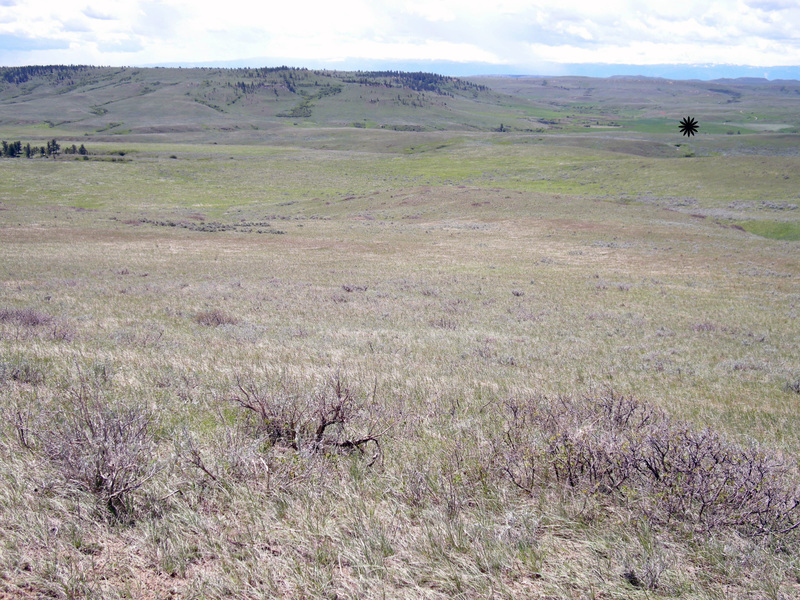 Crook assembled his brigade in these fields below the Fort Fetterman.bluff. The North Platte River is shown to the right. 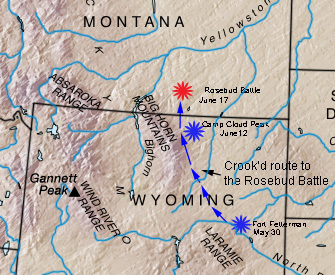 Crook's route from Fort Fetterman, Wyoming to the Rosebud Battle site in Montana is shown in the map to the left. Of the three forces, Crook's was the last to depart to battle the Sioux. who surptrised Crook by their clever ambush. As a result and unfortunately, his contribution to the campaign was negligible and has been criticized by experts and labeled ​​​​​​​​​​​​​​​​​​​​​"barren of results.". The rational for these harsh words is discussed in Custer Abandoned. This lonely monument records the former location of Fort Reno. 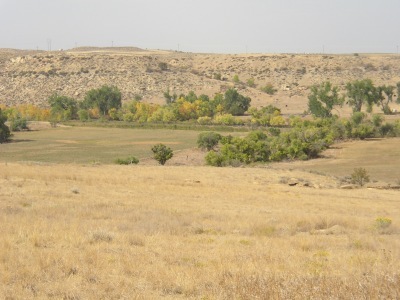 The Powder River flows within the line of trees in the middle distance. 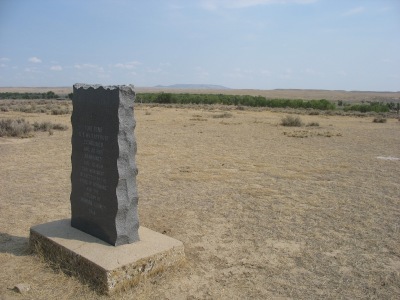 The brigade passed this location where in 1864 Lt. Fetterman and over 80 soldiers were ambushed and massacred by the Sioux. Crook's brigade was ambushed by Sioux who peppered his resting soldiers from the distant bluffs. It was the second ambush lesson unlearned by Crook. 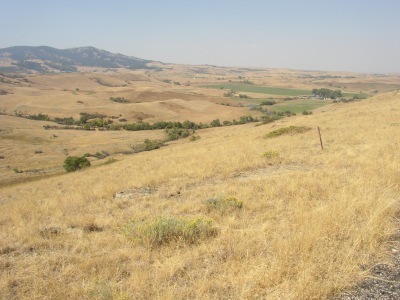 The background photo is the upper end of Rosebud Creek Valley where Crook's brigade bivouaced the night of June 16, 1876. Unknown to Crook, the brigade's presence had been detected by the Sioux and Northern Cheyenne and he would pay dearly for his lack of vigilence and for not detecting their presence.